The programme provides you with the skills that are needed in order to design, develop and use software and hardware for computer systems. The courses in the programme address the three different aspects of computer engineering: software design, hardware design and the integration of the two. Understanding the theories that underlie system software (including programming, operating systems and compilers) will help you to create software designs. In addition, the Computer Engineering programme will prepare you for the engineering challenges that lie ahead. You will learn about modern computer architectures and networks and how to explain processors and their ability to perform their calculations, in addition to suggesting methods for optimising these calculations. The processor design project challenges you to optimise your own processors for specific applications with given optimisation targets (e.g. high speed or low power). The purpose of this hands-on project is to achieve optimum system performance that meets the design criteria. In the two figures below you can see how the master programme Computer Engineering differs from the other master programmes offered by TU Delft - Faculty of Electrical Engineering, Computer Science and Applied Mathematics (EEMCS). These programmes teach the full spectrum of topics needed to build integrated hardware and software systems. The Electrical Engineering (EE) programme primarily teaches hardware-related topics. The Computer Engineering (CE) programme is more hardware oriented, in addition to covering software-related topics. The Embedded Systems (ES) programme is more software oriented and covers some processing hardware aspects. The Computer Science (CS) programme primarily teaches software-related topics. 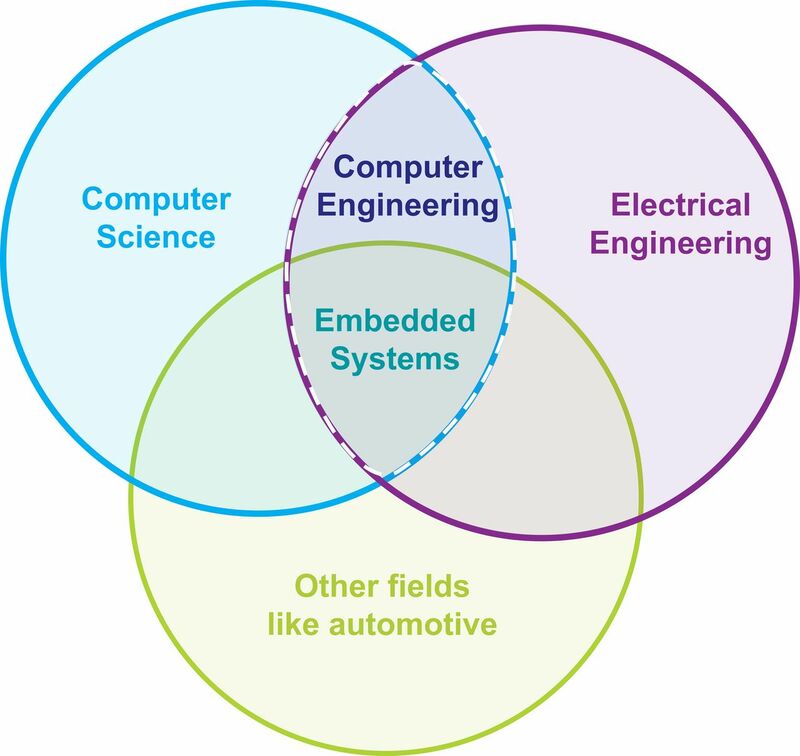 In particular, the Computer Engineering (CE) and Embedded Systems (ES) programmes can be defined as follows.